Yoga is Sanskrit for ‘Union” – bringing the mind, body and spirit together in harmony. Yogic postures are gentle exercises that increase circulation, strength and flexibility, all the while providing the opportunity for a mindfulness experience which can lead to a greater power of concentration. Tai chi originated in China as a martial art. It is now practiced mainly to enhance physical and emotional health. Gentle flowing movements of the arms and legs encourage relaxation, improve balance and enhance muscle strength and flexibility. Tai chi is regarded as a ‘moving meditation’ helping the practitioner to find emotional balance as well. Prana is Sanskrit for vital breath or life force. Pranayama is the art of breath awareness. Your breath is always with you. Conscious breathing is a key aspect of minimizing the impact of our daily stresses. Conscious breathing also increases one’s power of concentration. Energy flows through our bodies just as breath and blood do. Energy medicine is a term used to describe easy techniques an individual uses on him or herself to promote physical health and emotional balance. Assuming simple postures and tapping on certain points of the body can help release tension, ease headaches, calm inner chaos, promote clear thinking and more. Qi-gong originated in communal healing dances and shamanic practices 5000 years ago. It persists as a mainstay in Chinese health care. Qi-gong refers to ancient Chinese exercises which are simple to do yet can have profoundly vitalizing effects on our mind and body. Qi-gong movements boost the immune system, help to get chi (life energy) flowing, stretch ligaments and strengthen muscles along with encouraging the practitioner to quiet the mind . Qi-gong exercises are considered to be a healing art rather than a martial art. Tai chi practitioners will find Qi-gong movements familiar and will notice that the practices complement and enhance each other. Meditation is a process whereby one’s thoughts lose their claim on us. Through meditation we ‘do by non-doing.’ Meditation is an ‘allowing’ that enables one’s mind to quiet, resulting in an alert, calm awareness. 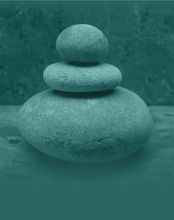 Polarity therapy is a way of working with the fundamental energies of life. Light touch, at specified points on the body, relieves obstruction of energy flow and brings these energy currents to a state of balance. You may experience emotional release and physical relaxation as energy flows more freely in you own energy field. Loose fitting clothing is worn during the session. There are 7 major chakras in the human body. Each is a vortex of energy, colorful and whirling. Each chakra resonates with different organs and endocrine systems in the body and with different energetic principals of human existence. These areas process energy from your current surroundings and your past experiences. Unless specified, all classes welcome beginners. Those who do have knowledge of these art forms will have a chance to deepen their practice. Comfortable, loose fitting clothing is appropriate. For sessions held on the beach, you may wish to bring a towel. Wear a hat or visor and sun screen if desired. What if I cannot make all 6 sessions of the stress reduction through mind body awareness? Each session offers something different so it is best to attend all 6 sessions of the series. The group dynamic thrives if all participants attend all sessions. Missing more than 3 session could significantly diminish the value you might obtain from the gatherings. All participants will be charged the full fee regardless of the number of sessions they actually attend. Do I need to be a guest at the Buccaneer to attend? No. St. Croix offers numerous wonderful places for vacationers to stay. Local Crucians are also welcome to attend all of our sessions.